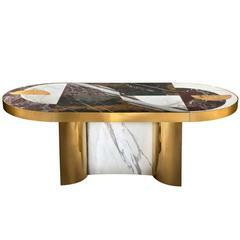 Inspired by the planets and their orbital movements, a recurrent theme in Lara Bohinc’s work, the Lunar collection features important pieces of furniture, with highly-figured marbles set like jewels within golden rims. Disc shapes bisect or overlay to create surface patterns and structural elements. 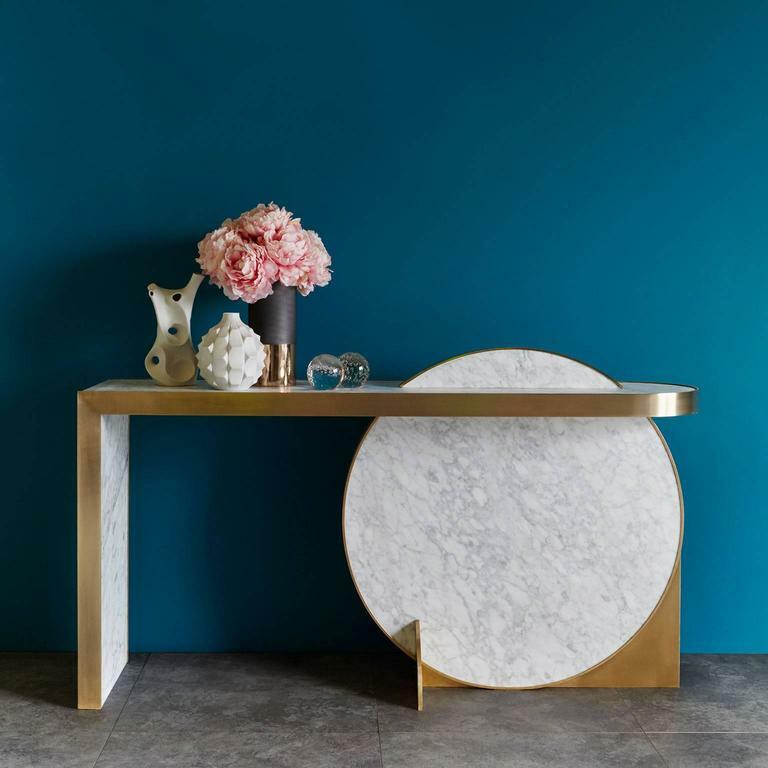 The newest introductions, the collision console and half moon mirror are more compact pieces, ideal to use as standalone design statements or to harmonise with the larger tables in the collection. 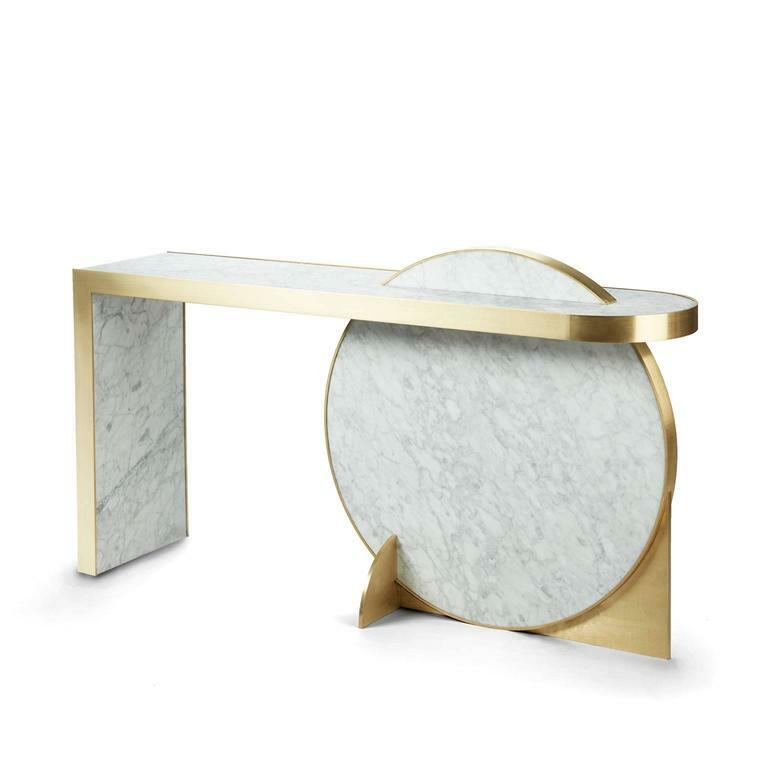 Imbued with all the decorative and dynamic poise of the Lunar collection, they have a refined luxury which perfectly showcases the natural beauty of the stone set in brushed brass. 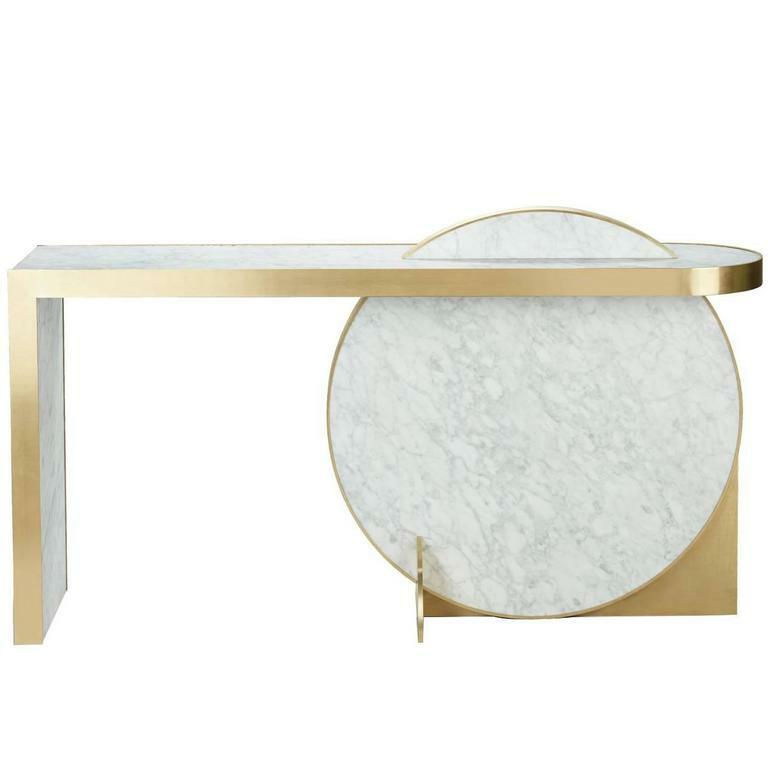 The console has four slightly visible solder joints on the brass rim. 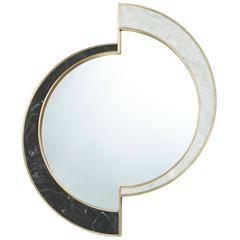 There are also two visible screws on the half disc that supports the large marble disk. Please note that these is not an imperfections, but they are integral part of the piece. 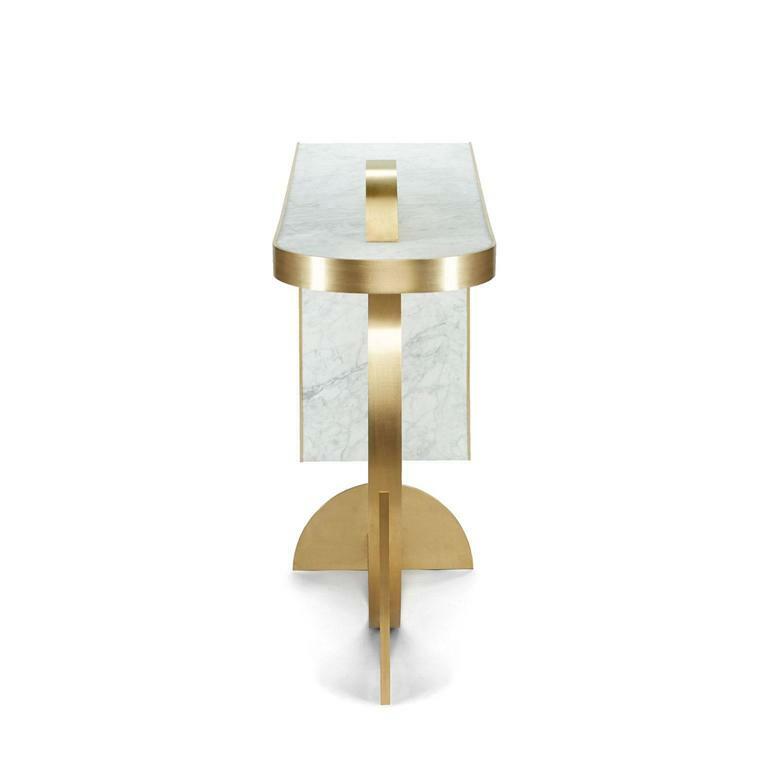 Designed by Lara Bohinc. 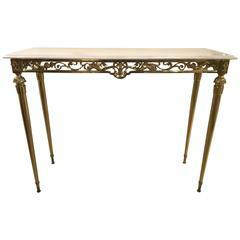 This 1950s Italian console has a brass structure with horn of plenty and heraldic motif. 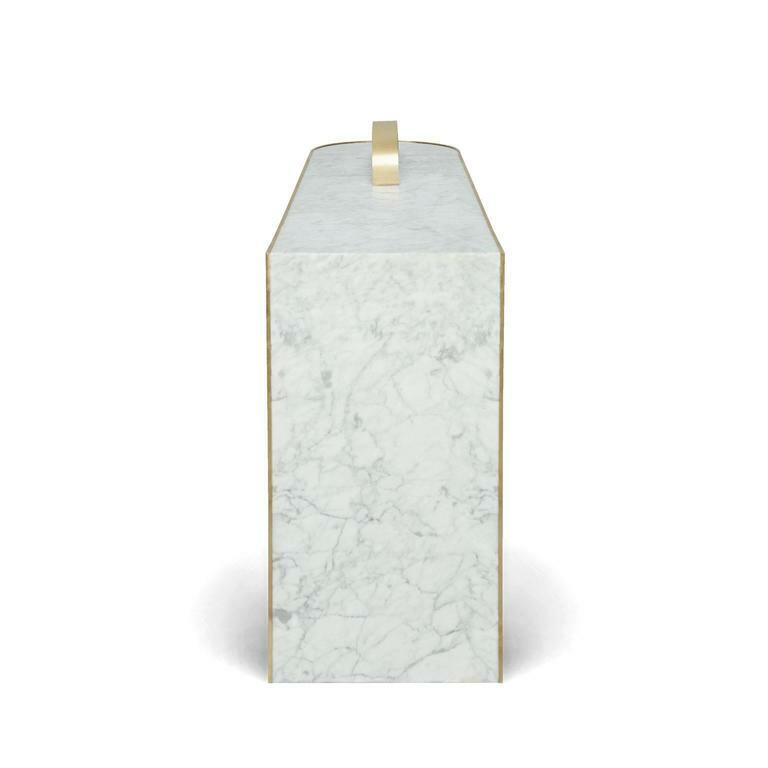 The top is in Carrara marble. 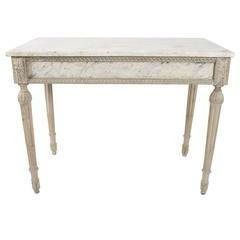 18th century Italian painted console with bianco Carrara marble-top.